When you crack open Gina Apostol’s Insurrecto, there’s an old-timey cast of characters and a listing of parts and chapters set off by florid fonts and curlicues. The reader thinks this will serve to orient her. If I use this key, you think, I will know who the main and minor characters are and where and when the action will take place. You’re thinking, well, these Filipino names are kind of unusual, and I’ve never heard of any of these places, so thanks, this is helpful! You read on. Okay, it’s a mystery. Then you do a double-take at the mention of Ewoks speaking Tagalog. No, it’s a film script. Wait, two film scripts by two separate authors. Part One starts at Chapter 20. Then it goes 2, 3, then…21. You check the chapter listing again. Your sense of direction fucked with, your expectations confounded. 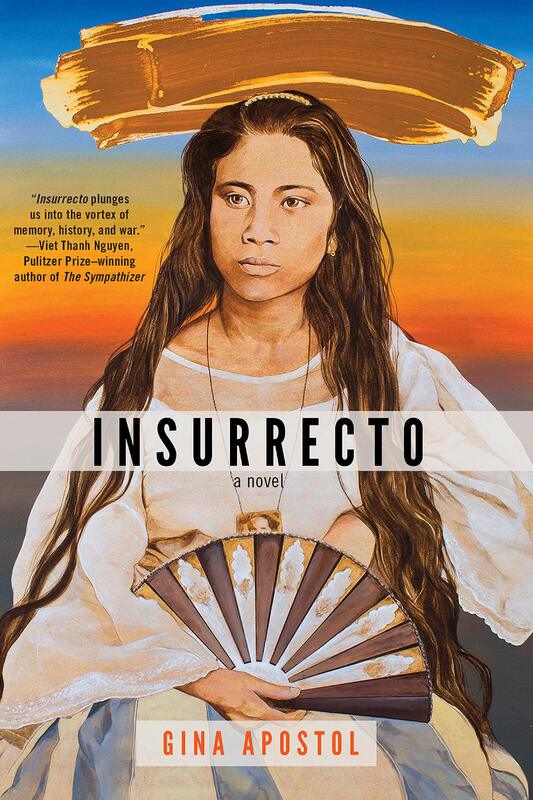 Insurrecto sneaks up on you from unexpected angles like the incident in 1901 that’s at the heart of the story. We think the story begins when Magsalin, a Cornell-educated, Tagalog-Waray-English speaking Filipina living in New York agrees to be a translator on a film dramatizing the Balangiga incident, a brutal episode in the Philippine-American War. Chiara, the American filmmaker who is herself the daughter of the late cult filmmaker Ludo Brasi, sends Magsalin the script. The women agree to meet at Manila’s Ali Mall, named for the victor of the legendary 1975 boxing match: the Thrilla in Manila. But the story doesn’t really begin there. Chiara has her own history in the Philippines. In 1975 she and her mother accompanied Ludo to Samar, the Philippine province Ludo used as a stand-in for Vietnam for his film about that country’s war. Chiara wants to film in Samar, and Samar is Magsalin’s home province. Magsalin tries to talk Chiara out of going, not only because of the challenges of traveling while a certain unnamed dictator is in power, but because Magsalin can’t bear to return. For her, it’s a place of grief. When Chiara hands over the script as a courtesy to Magsalin, the translator responds by writing her own version of the script. Initially, Chiara can’t believe that Magsalin, the hired help, has the nerve to do this, but the scripts riff off each other, alternately ignoring, illuminating, and clashing with different parts of the same tragic story. Magsalin and Chiara, the colleagues, or frenemies, or protagonists of this script within a mystery within a meditation on trauma, bring so much of themselves to their collaboration that it becomes unclear which one of them wrote which version of the script. It turns out that the women have more in common than the same aubergine bag with olive handles that they each bought either from a shop in Venice or some shady luggage store in lower Manhattan. Their baggage spans a century. Over 100,000 Filipinos were killed in the often forgotten, ignored Philippine-American War. Contemporary accounts depicted the Filipino struggle for independence as an extension of the Indian Wars in which some of the American soldiers killed in Balangiga had fought. In 1901, a group of Balangiga townspeople and prisoners led by a woman, Casiana Nacionales, killed 48 American soldiers in a meticulously planned morning raid. In retaliation, the U.S. Army killed 30,000 Filipinos, reconcentrated the remaining population, burned down the surrounding forest, and forced the local farmers to burn their rice. The U.S. Army even took the church bells as spoils of war and only returned them in December 2018. Like the Covington boy’s attendance at a pro-life rally that got ruined by a Native American man blocking his path, the Americans in the Philippines didn’t really notice the natives until they got in their way. Insurrecto is a fast, deceptively light read, with pop culture, literary, and film references that are sharp and funny. 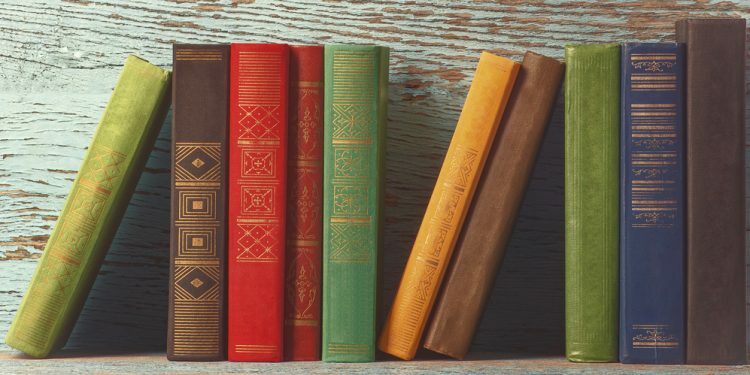 Yet, each reference contains layers of meaning and irony that become increasingly perceptible with the reader’s familiarity with Filipino culture, its regional dialects, Elvis’s place in the country’s pantheon, and the understanding that karaoke, for all the cheesy connotations it has in the West, is something to take seriously. It may even have healing powers. If you have an uncle that has honed his tenor on “I Can’t Help Falling in Love with You,” you will have a deeper understanding of Insurrecto. But even those of us with such uncles, we who will thrill at seeing words like hilot, inday, and “hoy!” unitalicized and undefined in a book from a major American publisher, will still not anticipate the multitude of layers in this story. Apostol returns to this idea again and again: the secrets behind art, the layers we don’t know are there. In our own forgotten, ignored histories, there are miles of unedited footage, unseen takes that wait for their time to have an impact on an unanticipating audience. Photographers and filmmakers haunt the story, especially Diane Arbus, whose contention that a photograph is a secret about a secret tells us that we can study a film or examine a picture, but it doesn’t mean we’ll unlock all of its secrets. After Magsalin’s initial encounter with Chiara, she digs out an old video of the Thrilla in Manila (a tape made by an uncle taking a video of the TV) that she grew up watching over and over again. She has seen it so many times that she could probably reenact that fight punch for punch. But as she watches the match this time, she notices all sorts of things that escaped her before, including Chiara’s parents in their ringside seats, a presence Magsalin’s eyes may have taken in, but she’d never seen. Magsalin, eager to call out Chiara’s obliviousness and entitlement, has her own blind spots. Events and catastrophes repeat in this unedited footage. Typhoons flatten the town century after century while dictatorial regimes flatten the people every few decades. One dictator is in power when Chiara’s father makes his masterpiece, and another is in power when Chiara returns to Samar as an adult and becomes a witness to a new regime’s brutality. Chiara, like the colonizers before her, and like Magsalin with the video of the fight, don’t see these signs, the people in the corners, these warnings, until they find themselves bleeding from unseen wounds. Apostol also uses repeated names and variations of names to call attention to the unfinished business transmitting between generations: Casiana, Cassandra and Caz as the revolutionary, the photographer and the lover; Francisco the orphan, Francisco the brother, and the Finnualas that show up on film sets as interns and assistant directors. Repeated places, recurring names, suspicious minds, suspicious deaths, and confidences won from false pretenses all trickle through the book’s scenes. This is the kind of story that works on you in ways you can’t anticipate, like a song from one place and time that wends its way down the charts and through karaoke machines to become something else entirely. Read it on a sunny day at the beach, but don’t be surprised if it enters your dreams. Insurrecto floats like a butterfly — but stings. Jen Mediano is a writer whose work has appeared in the Inquisitive Eater and LitHub (forthcoming in February 2019). She lives in Virginia. Follow her on Twitter.